Fuller Center Bicycle Adventure leader Allen Slabaugh was back at Fuller Center headquarters in Americus, Ga., on Monday, just two days after he and fellow cyclists completed a 2,000-mile ride from Saco, Maine, to Key West, Fla. Along the way, they braved New York City traffic and a tropical storm. 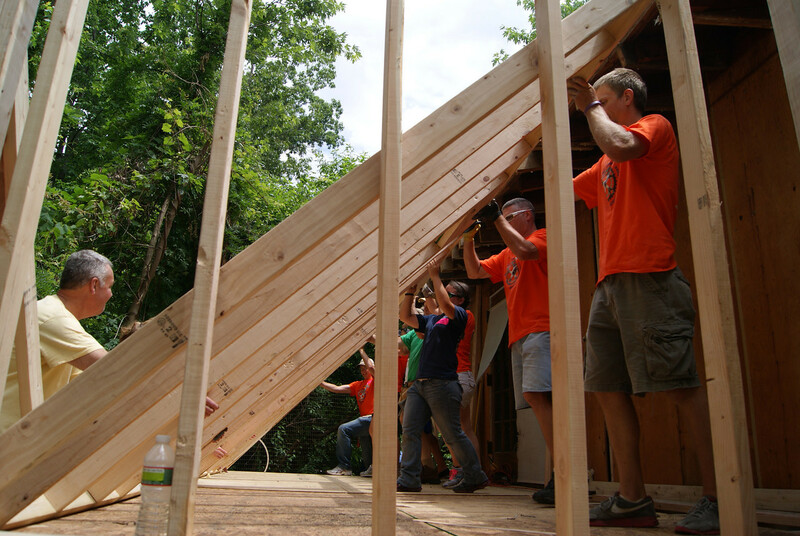 But they also encountered many friendly faces, enjoyed a couple of inspiring build days, informed hundreds in person about The Fuller Center’s work and pushed the 2012 fundraising total to more than $136,000, just $64,000 short of its $200,000 goal. 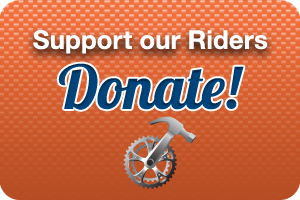 He hopes to push well past that during the West Coast ride from Seattle to San Diego, beginning July 15. Having just wrapped up the East Coast ride Saturday and then turning around and bringing The Fuller Center van and trailer all the way back to Americus, with a few assistants, Slabaugh hid any exhaustion well as he sat down for a question-and-answer session today — after he got through raving about massive quantities of donated food from Saint Rose of Lima Church in Short Hills, N.J., and delicious Dunkin Donuts in Homestead, Fla., that is. Something a lot of people are wondering about: What was it like having a little brush from Tropical Storm Debby during part of the Florida stretch? That was definitely an interesting experience. We definitely didn’t go through the heart of it, being on the other side of the state, but we still got a lot of wind and rain from it. The one day that was the worst was going into Melborne Beach (June 25). We had about a 25 to 35 mile per hour headwind and just constant rain. It wasn’t an extremely hard rain, but it was just enough to sort of be annoying all day. Some areas had tornado watches, so we had to be very careful going through there and make sure we weren’t putting our riders in danger. But it wound up working out well. It was a tough day, 90-something miles. And it was interesting, but it’s something that I’ll be all right if I never do again. How did the riders react to it? Actually, what’s surprising is no one really complained about it. They all just took it as another challenge. We had many days where it was very easy riding, flat with a tailwind. This day, with all the rain and stuff, it was just another challenge to overcome. A lot of them took it with a very positive attitude, which I was very pleased to see. Tom Weber, our oldest rider (70), was just loving it because he’d been looking for a challenge for weeks! 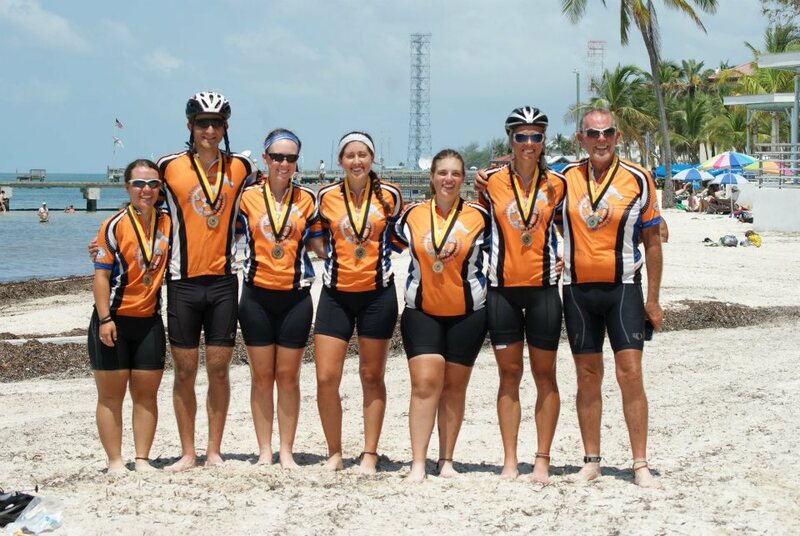 Tell us about riding through the Florida Keys. It was definitely a neat experience. It wasn’t the hilliest. But it was hot and very humid. It was really neat once you get a ways past Key Largo and start getting on the bridges and all the little keys and islands. It was really a beautiful ride to be able to see the really clear and blue water on both sides of you and seeing the fish and wildlife. And going through all those little keys and seeing the different communities was great. They had it really well laid out for bikes with a lot of bike paths and a lot of little side bridges for bikes. It was very good riding. I’d definitely ride it again. What were some of the more memorable experiences on other parts of the East Coast ride? Our build days are always a lot of fun. Tabernacle really sticks out. We were able to stay in various covenant partners’ homes, so we got to stay in beds and have really nice showers each night. They fed us very well. We got to work on a project that everyone was excited about, framing a bedroom and bathroom. (Click here to see the video.) We got to meet the homeowner, a great kid. We had a bonfire that night. It was just a great experience. They welcomed us into their lives with open arms, just an amazing experience. And it was the same way with our build day in Kinston, N.C. Our covenant partner there just went all out for us. But we had many great stops along the way. Savannah was a great stop, and we had the chance to meet up with Krystal Goodwin and Michael Tiemeyer, a couple of our riders from last year. They took us on a tour of downtown, and Savannah is just a beautiful city. Charleston, S.C., was another beautiful city. What was it like going through New York City on May 31? We biked down Broadway in New York all the way to the George Washington Bridge, and that was an experience. That was interesting. Just a ton of traffic. But it was stop-and-go traffic, nothing too scary. There was a lot of people and pedestrians. It’s an experience I’m glad I did, but I’d be OK if I never did that again. Going over the George Washington Bridge, that was amazing. But that day in New York, some riders were on their bikes for 11 or 12 hours with all the stop-and-go, stop-and-go. And it was only 68 miles, but it was probably the longest day on the bike. The first week in general was just a bunch of long days through cities. You’ve raised more than $136,000 so far this year. Are you optimistic about reaching your $200,000 goal? The West Coast ride is 350 miles shorter than the East Coast ride, so this should be a piece of cake, right? Well (laughing) … the terrain is going to be a lot different. The East Coast ride, once you got out of the New England area, most places were flat. There weren’t many hills at all, and we even had a nice tailwind for most of it. Once we get out West, it’s going to be a lot of hills, a lot of climbing and a lot of steep climbs, so it’ll be a tougher ride. It’ll be shorter, but it’ll be definitely tougher. 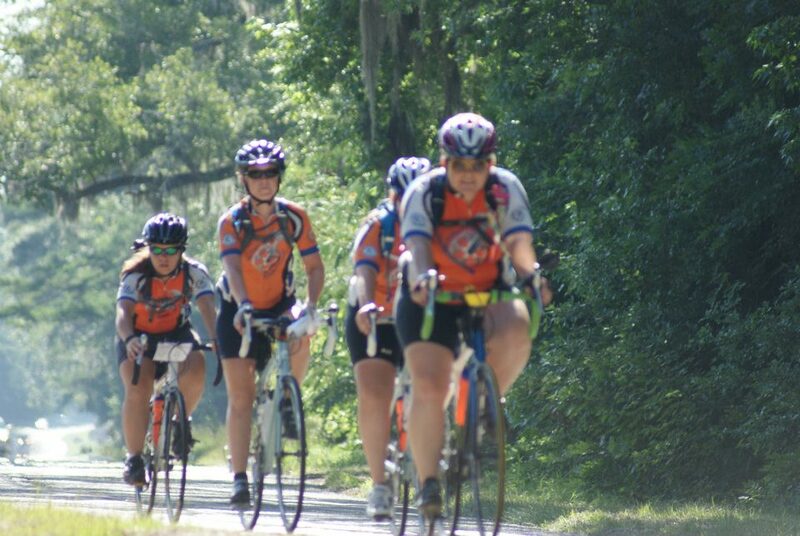 Click here to visit the Bicycle Adventure Facebook page and see hundreds of photos.